Steam locomotive 50 3646 of the Deutsche Reichsbahn. The model features a brown chassis. 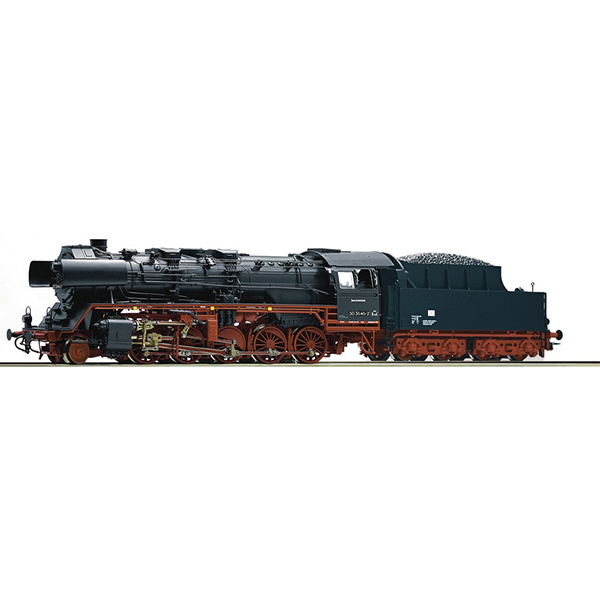 Model Description: Model with new intricately designed wheels, driving and coupling rods made of metal. LED lighting and PluX 16 Interface. Drive on seven axles, motor with flywheel, four axles are equipped with traction tyres. Recommended minimum radius: 434,5 mm. The model is equipped with sound functions.